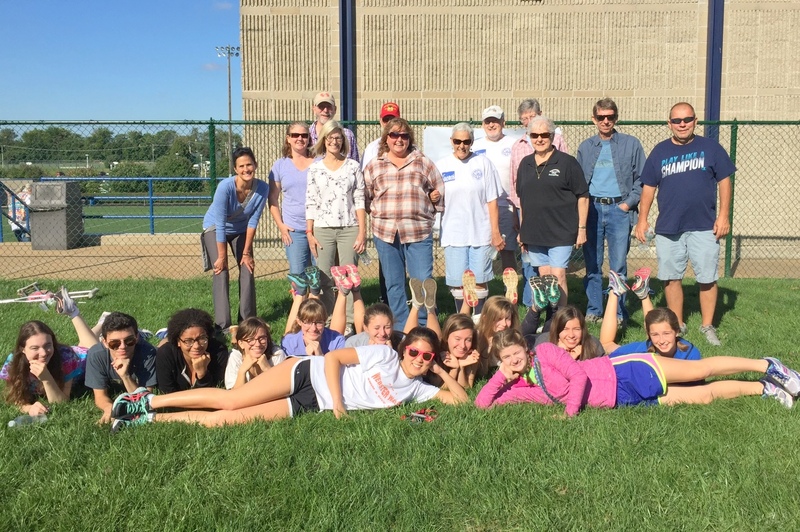 We want to welcome you to our “Parish and Community” page. We hope you will refer to this page frequently to read the articles and events going on in our faith community. We encourage you to contribute, whether it be a faith story you would like to share, an event going on in the community, maybe a question you have about our faith. We strongly encourage our young people to share their stories, their input as to how we can be a stronger, more vibrant faith community. Remember, you need to send this through our e-mail at icmaplewood@gmail.com. May we continue to pray for and with each other. May we be willing to give of our time and talents to bring the Good News of Christ to those we meet, so that we will truly be alive in Christ. Fish Fry 2016 – Mixing the batter. Eventually she did just that. In 1891, with 13 other women, she founded the Sisters of the Blessed Sacrament. She first opened a boarding school for Pueblo Indian students in Santa Fe, New Mexico. In time they founded missions for Indians in 16 states. They began a secondary school for African American students in New Orleans. This school was the forerunner of Xavier University. After the First World War they founded schools in Chicago, Boston, and New York City. March 4: St. Casimir (1458-1483). His father was the king of Poland. Even though he was a prince, he dedicated himself totally to serving the poor. March 8: St. John of God (1495-1550). 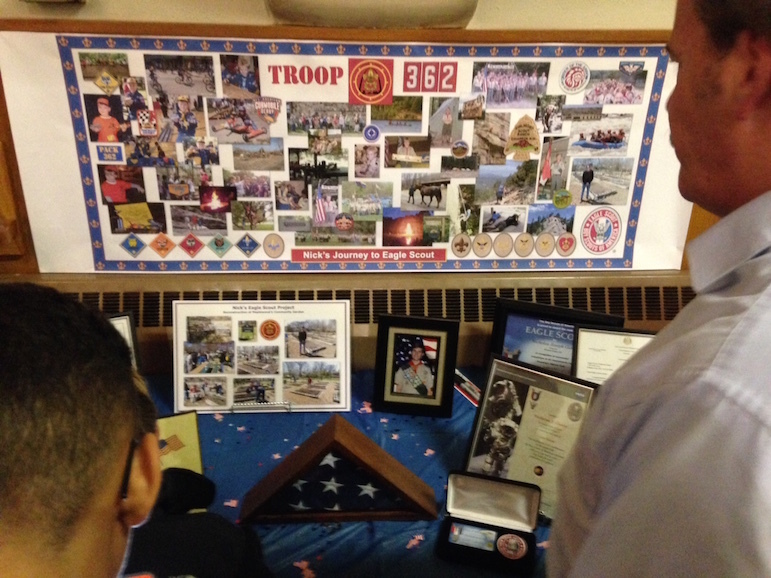 He served in the army and then became a shepherd. It wasn’t until he was 40 that he decided to turn his life around. He founded a hospital where he could care for the sick and homeless. He laid the foundation for what would become known as the Brothers Hospitalers. He was canonized in 1690 and, in 1886, Pope Leon XIII named him patron of hospitals and the sick. March 9: St. Frances of Rome (1384-1440). March 17: St. Patrick (389-461). March 18: St. Cyril of Jerusalem (315-386). March 19: St. Joseph – Husband of the Blessed Virgin Mary. March 28: Easter Sunday. He is risen, Alleluia. 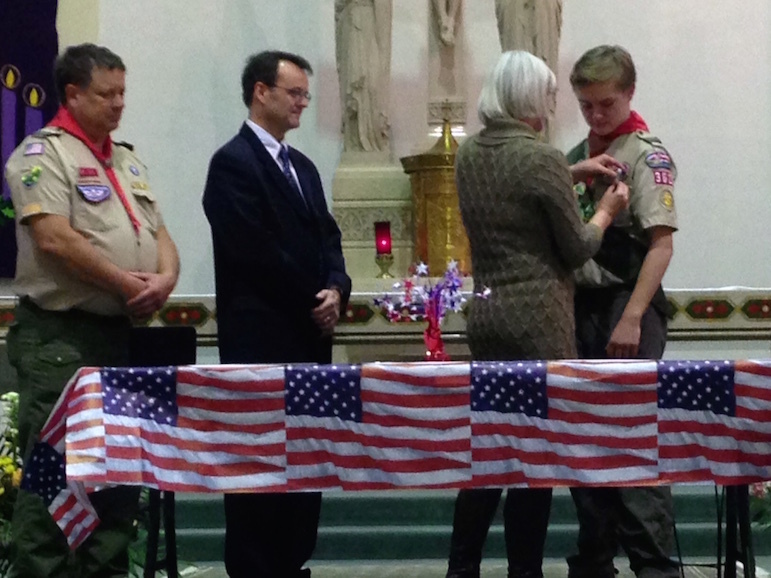 Congratulations to parishioner, Nick Gantz, who received his Eagle Badge on December 20th at Immaculate Conception. 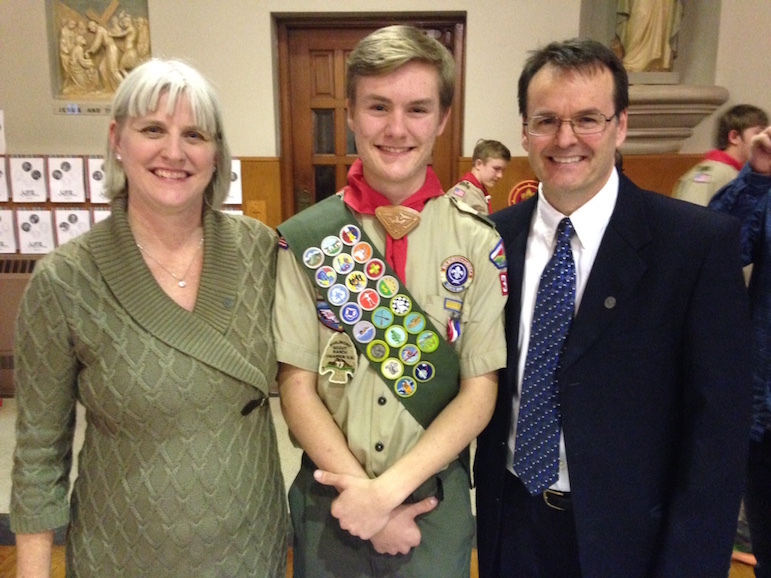 Parishioner Nick Gantz with his mom and dad after the ceremony. 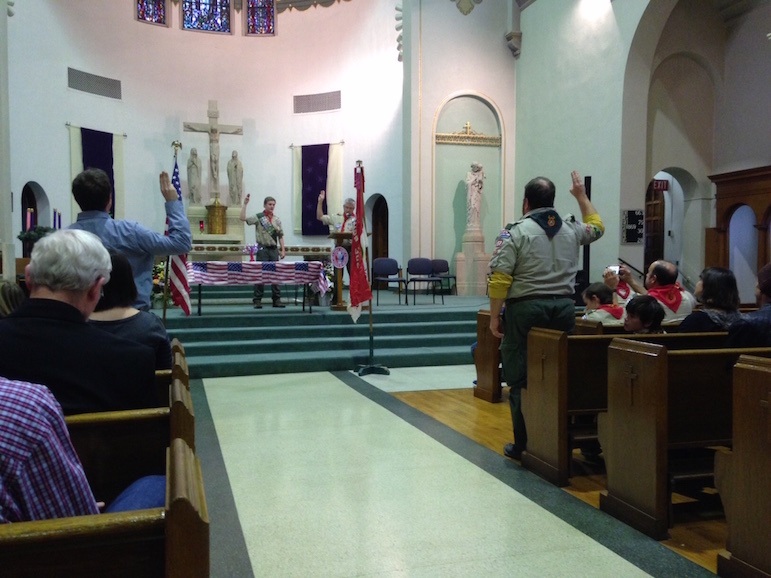 Nick saying the Eagle promise with other Eagle Scouts in attendance. 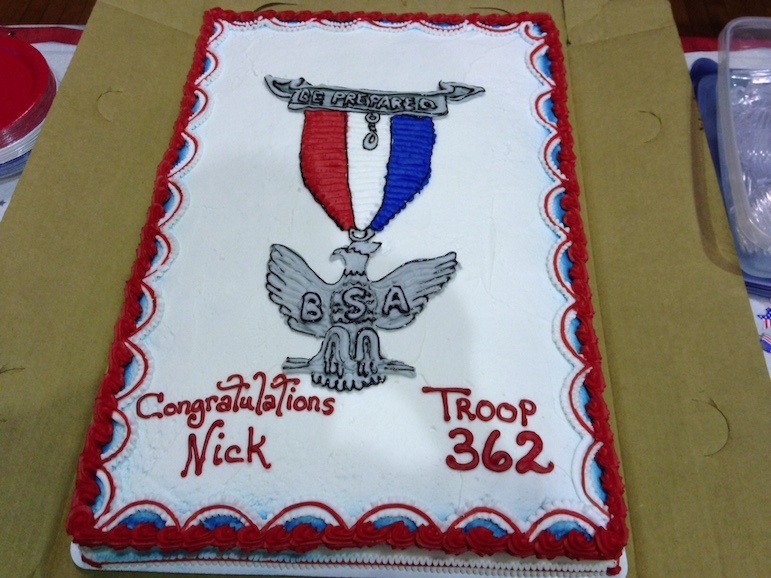 Nick getting his Eagle pin. Little Flower School made a wonderful donation of canned goods to our SVDP Pantry on November 11th. Little Flower students help to stock the food pantry with their donations. Sandra explaining to the students how the pantry works. Until I come to Thee. 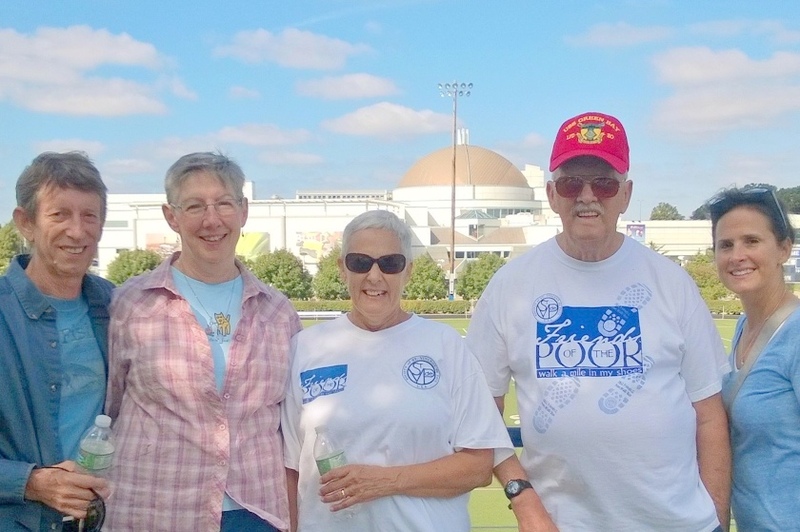 Congratulations to our IC Team at the Friends of the Poor Walk this past Saturday, September 26th. They raised $1632.00 for our Society of St. Vincent de Paul Food Pantry and assistance programs. Ellie Lunte and Renee Ellegood, both seniors at Cor Jesu Academy, have been named this year’s Watlow Scholars, an award that provides each student with a $7500 scholarship toward their 2015-16 high school tuition and a paid internship at Watlow the summer after graduation from Cor Jesu. 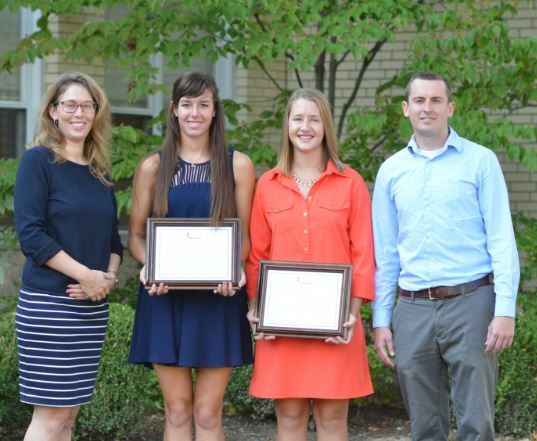 The Watlow Scholars program was established at Cor Jesu in 2013 to promote awareness and interest among young women about the field of engineering. The Watlow Scholars program is part of Cor Jesu Academy’s Corporate Partners Initiative, which was launched in 2013 to take learning outside the confines of the classroom and expand the meaning and scope of college preparatory. The Corporate Partners Initiative also includes a Summer Engineering Experience, internship opportunities, academic program support and professional job shadowing for Cor Jesu students. Cor Jesu Academy is a leading Catholic college-preparatory high school for young women founded in 1956 and operated by the Apostles of the Sacred Heart of Jesus. Students from 61 zip codes across the St. Louis metropolitan area currently attend the school and come from 106 different Catholic, public, private and home schooling learning environments. 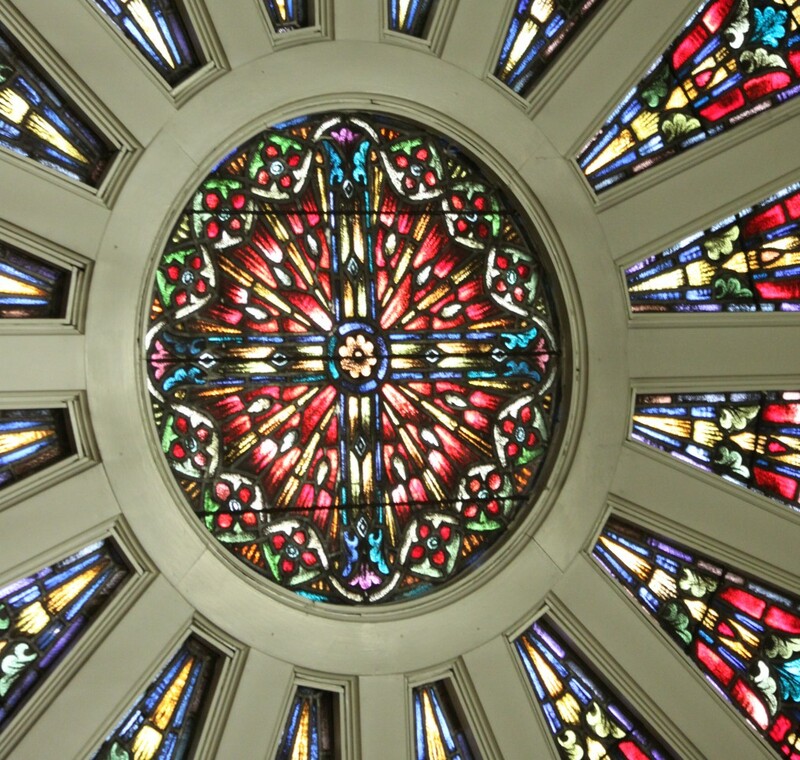 For more information, visit http://www.corjesu.org. We certainly can use all the help we can get as we walk through life. God’s Word is the place we should first turn to. Sometimes we may think about picking up our Bible, but we just don’t know where to find what we need. Here is a little help. When in sorrow, see John 14. When people disappoint you, see Psalm 27. When you have sinned, see Psalm 51. When you worry, see Matthew 6:19-34. When you are in danger, see Psalm 91. When God seems far away, see Psalm 139. When your faith needs stirring, see Hebrews 11. When you are lonely and fearful, see Psalm 23. When you grow bitter and critical, see 1 Corinthians 13. For Paul’s secret to happiness, see Colossians 3:12-17. When you feel down and out, see Romans 8:31. When you want peace and rest, see Matthew 11:25-30. When the world seems bigger than God, see Psalm 90. If you are depressed, see Psalm 27. For how to get along with others, see Romans 12. If you are losing confidence on people, see 1 Corinthians 13. If people seem unkind, see John 15. For dealing with fear, see Psalm 34:7. For security, see Psalm 121:3. For assurance, see Mark 8:35. For reassurance, see Psalm 145:18. A young man was getting ready to graduate from college. For many months he had admired a beautiful sports car and, knowing his father could well afford it, told his father that was all he wanted. On the morning of his graduation, his father called him into his private study. His father told him how proud he was to have such a fine son and told him how much he loved him. He handed his son a beautifully wrapped gift box. Curious and somewhat disappointed, the young man opened the box and found a leather-bound Bible, with his name embossed in gold. Angry, he raised his voice to his father and said, “with all your money, you give me a Bible?” and stormed out of the house. Years passed and the young man was very successful in business. He had a beautiful home and a wonderful family but his father was very old and thought he should go to him. But then he received a telegram telling him his father had passed away and willed all of his possessions to his son. As he read the words, a car key dropped from the back of the Bible. It had a tag with the dealer’s name, the same dealer who had the sports car he had desired. On the top was the date of his graduation the words PAID IN FULL. How many times do we miss God’s blessings because we can’t see past our own desires. I try to pray, but words won’t come.